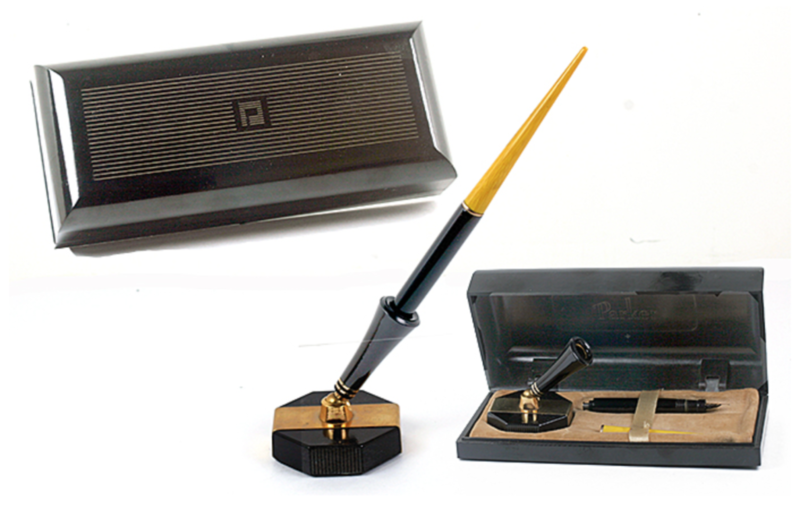 This is a 1930 Parker Lucky Curve BF Desk Set. 2.25″ octagonal black glass. GF metal, width of one side, from top to bottom, with trumpet in the middle. GFT. Black Hard Rubber pen with Yellow taper. New-old-stock. Mint in wonderful form-fitted brown Bakelite box. Check out our Catalog to view this item’s availability! Item #66 in Catalog #85. 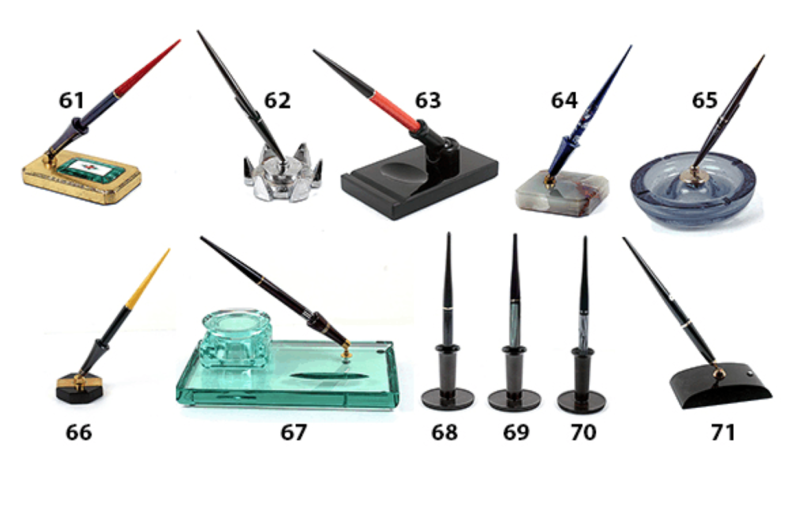 This entry was posted in Vintage Pen, Vintage Pens and tagged Catalog, Catalogs, Desk Set, Extraordinary Pens, Fountain Pens, Go Pens, GoPens, Parker, Vintage Fountain Pen, Vintage Fountain Pens, Vintage Pen, Vintage Pens. Bookmark the permalink. Follow any comments here with the RSS feed for this post. Post a comment or leave a trackback: Trackback URL.